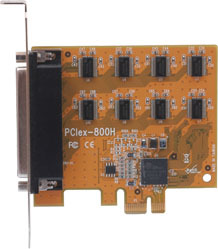 PCI Express is the new standard for Add-On cards in a PC, bringing more speed on simpler board connectors. 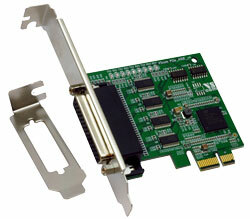 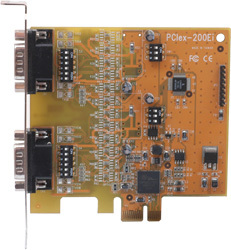 The classic PCI connectors are said to vanish from standard PC boards, so new products must use the new option. 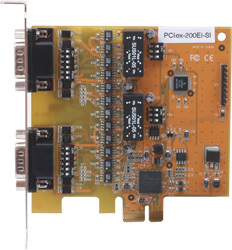 The VSCom E PCIex series of cards provides this option, by retaining the well known enhancements of the VScom H UPCI series cards. 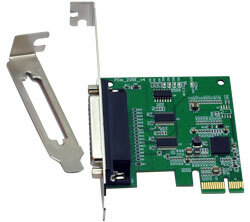 The High-End UARTs with long FIFO make the cards the best choice for High Performance data transmission with low system load while allowing very flexible configuration.